S&B Electric Contractor Services, Inc.
Our goal is to connect people with the best local experts. We scored electricians on more than 25 variables across five categories, and analysed the results to give you a hand-picked list of the best electricians in Concord, CA. Aleco Electric is a full-service, licensed and insured electrical contractor located in Vacaville, California and serving home and business owners throughout Northern California since 2004. These electricians specialize in full and partial rewiring, utility panel replacements and upgrades, and knob, tube, and aluminum wiring replacement. Additional items installed and repaired by these experts include recessed lighting, outdoor and security lighting systems, ceiling fans, GFI, new circuits, and power outlets. General troubleshooting, electrical fire safety, and 24/7 emergency services are also available. Aleco Electric is a BBB accredited business with an A-plus rating and is pre-screened with a 5 out of 5-star customer rating on Networx. Bayside Electric is a licensed and insured electrician company serving commercial and residential clients throughout the communities of Fairfield, Suisun City, Vacaville, American Canyon, and Dixon, California. Their professionally trained electricians specialize in services that include new construction, remodels, troubleshooting, repairs, panel upgrades, LED lighting, parking lot lights, fans and other ceiling fixtures, surround sound wiring, spa and outdoor lighting systems, pump and motor replacements, new circuits, and more. This company has also completed energy efficiency conversions for many commercial and business properties. Bayside Electric is a BBB accredited business and has 5 out of 5-star ratings on Yelp and HomeAdvisor. Dawson Electric has been providing clients in the San Francisco-area with customized solutions, experience, and personalized service for nearly 60 years. The fully licensed, full-service electrical contractor enjoys an outstanding reputation for delivering top-notch services at affordable prices without ever sacrificing quality, safety, or cutting corners. Dawson Electric ensures complete customer satisfaction by going above and beyond on new construction, renovation, and maintenance projects of all scopes and sizes. Discerning home and business owners trust the professionals at Dawson Electric to handle all electrical needs while adhering to the highest industry standards of safety and security. The company maintains the resources and personnel to deliver cutting edge electrical services that meet a range of residential and commercial client needs while exceeding expectations. Nick Bright Electric & Controls operates as a commercial and residential technician to help customers in the East Bay receive high-quality services at rates reasonable for most budgets. Residents of many of the nearby communities can also request services, including in the regions of Pleasant Hill, Walnut Creek, Castro Valley, Haywood, and San Lorenzo. Many previous and recurring clients recommend the company to others because of its close attention to detail, dedication to each customer, Mr. Brights friendly and compassionate demeanor, and Nick Bright Electric & Controls’ overall high quality of service. 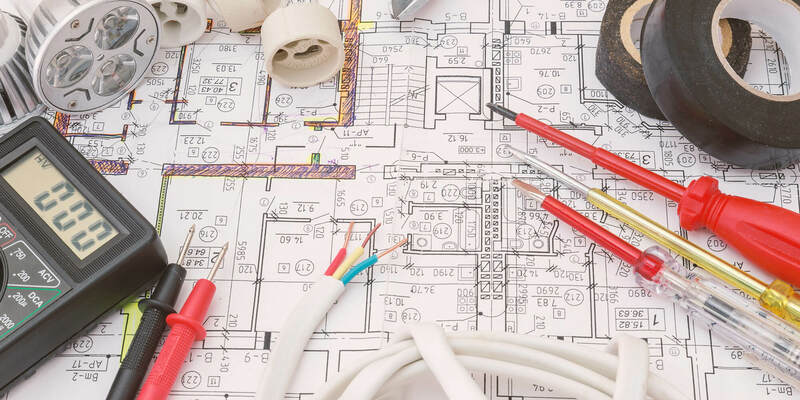 Customers can request a wide range of services such as installing new light fixtures, rewiring old residences and buildings, installing whole electrical systems for new construction and remodels, and fixing burned up plugs. S&B Electric Contractor Services Inc. is a family owned business in Concord, California that offers quality, professional, affordable electrical services. Owner Stewart Brown opened S&B Electric in 2006 after six years' experience as an electrician. All employees are state certified in California, and the company specializes in both residential and commercial services. They offer free estimates and a 100% satisfaction guarantee for each customer. Available services include electrical troubleshooting, circuit breaker installation, indoor and outdoor lighting installation, panel replacement and repair, safety inspections, and surge protection. Clients describe Stewart and his team as accommodating, professional, reliable, and knowledgeable. Stewart is known for excellent communication and high-quality work. Transform Electric is a full-service electrical contractor that serves the greater San Francisco area. They have more than 10 years of experience as electrical contractors and have worked with Solar City, Advanced Home Energy, and Rising Sun Energy. Transform Electric also offers a wide range of electrical services to their residential clients including panel and wiring upgrades, residential remodeling, solar inverter installation, and commercial building maintenance. They offer free estimates and encourage prospective clients to contact them by phone or via the internet in order to set up an on-site consultation. Transform Electric is committed to providing safe, affordable service and has received positive customer feedback for their attention to detail.